Brophy Castings Ltd, based in Wooburn Green, Buckinghamshire, are specialists in aluminium gravity die castings, serving a range of industries including the motorsports, marine, shopfitting, electronics and architectural sectors across the UK. 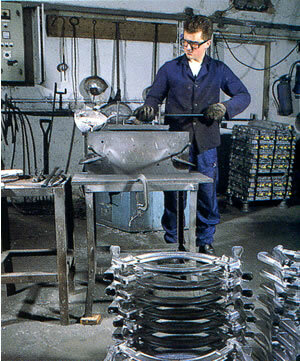 Established in 1972, Brophy Castings Ltd is a family run company employing 10 highly skilled staff. We offer a one stop aluminium gravity die casting service accomodating prototype development, tooling design & fabrication, heat treatment, impregnation and finishing as required. At Brophy Castings we are always willing to offer advice and help that enables you to get exactly what you want, when you want it, and at the right price. We are specialists in aluminium gravity die casting, operating three half tonne capacity 48KVA electric furnaces with inhouse finishing facilities allowing us to undertake both low and high volume production work (50-5,000) for components upto 10kg. Certificates of analysis & conformity are available if required. Pre-threaded bosses, threaded studs and high strength bearing surfaces can be incorporated into the casting before the metal is poured. 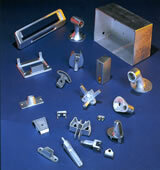 We serve a wide range of industries across the UK. Clients include Smiths Industries PLC, General Electric Company, S Groves & Co., Conway Security Products, BPR Medical and Selden Spars. Industries include vehicle manufacturers, instrument makers, electronic and electrical manufacturers, engineering, cookware and furniture. We operate to the highest quality standards offering advice and support through the design phase, working closely with die manufacturers to ensure design conformity through selection of alloys, production, finishing, packaging and delivery. 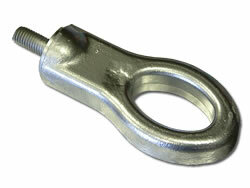 We offer certificates of analysis & conformity and batch traceability where required. 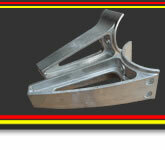 For a competitive quote please feel free to call now, or send us your drawings and requirements. We offer possibly the lowest prices in the UK so whatever foundry you intend to use, get a comparitive quote from us now.